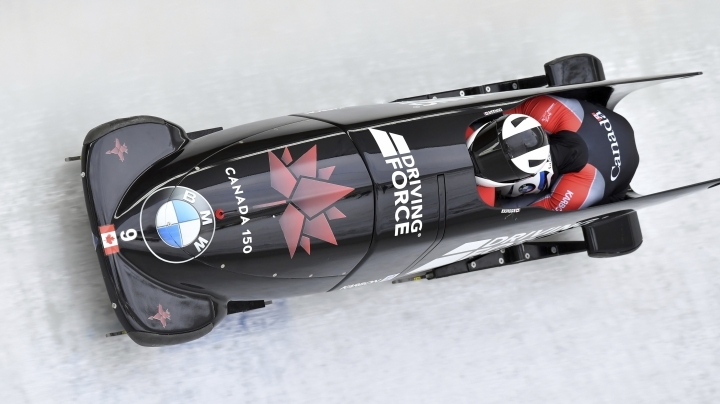 INNSBRUCK, Austria — Francesco Friedrich won a two-man bobsled World Cup race Saturday to give Germany its second European title of the day, hours after Stephanie Schneider won the women's race. World champion Friedrich and his brakeman, Thorsten Margis, won both heats to finish 0.27 seconds ahead of Justin Kripps and Jesse Lumsden of Canada. Another Canadian team, Nick Poloniato and Lascelles Brown, was 0.30 behind in third for Poloniato's first World Cup podium. The season's fifth World Cup also counted as the European Championship, with Clemens Bracher and Michael Kuonen of Switzerland taking the silver medal and Johannes Lochner and Joshua Bluhm of Germany the bronze. 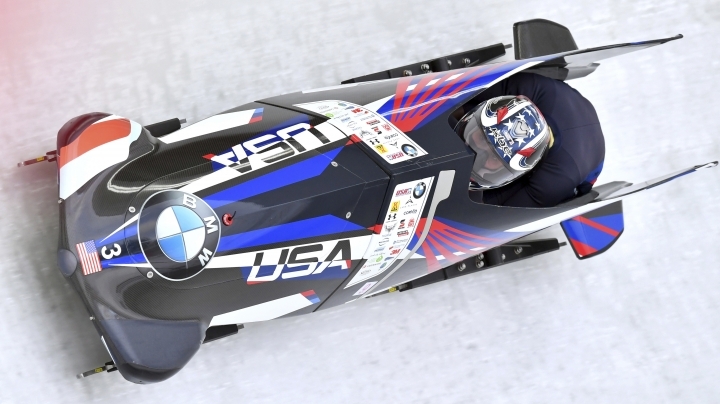 This season's five two-man bobsled races so far have been won by five different teams. In the World Cup standings, Kripps and Chris Spring, also of Canada, remained first and second with 1,014 and 955 points, respectively. In the women's race, Schneider earned her second consecutive World Cup win as she led a German sweep of the European Championship podium. Racing together for the first time, Schneider and Annika Drazek defeated Elana Meyers Taylor and Kehri Jones of the United States by 0.36 seconds. Mariama Jamanka and Lisa-Marie Buckwitz of Germany were 0.01 further behind in third. In the European Championship, Jamanka and Buckwitz took the silver. Anna Koehler and Ann-Christin Strack finished the race in fifth and completed a German sweep of the medals. Kaillie Humphries of Canada, who finished fourth, remained on top of the World Cup standings, leading Meyers Taylor by 14 points. The meet, on the 1976 Olympic track, concludes with a four-man bobsled race Sunday.